Bronze Glimmerglass Filters offer all of the benefits of the original Glimmerglass filters however these filters have a bronzed tone adding warmth to skin tones and scenes. This set of filters allows much more subtle diffusion whilst cutting back on flare and diminishing loss of contrast, maintaining sharpness across the image where it is needed. Black Glimmerglass Filters offer all of the benefits of the original Glimmerglass filters, as well as subtly removing harsh sharpness from modern lenses. Black Satin Filters gently control highlights, reduce contrast and add a gritty look whilst suppressing facial blemishes and wrinkles, giving a silky smooth look to textured surfaces. We also carry stronger Black Satin Filters from FX 3 – FX 5. Schneider MPTV Platinum IRND filters are free of off-axis colour shift and can be stacked without introducing reflections. These industry-leading IR+ND filters are popular with DoPs striving to maintain accurate colour representation whilst maximising depth of field by cutting unwanted light and opening up on the lens. We also stock Schneider MPTV Platinum IRND filters in strengths 1.2-2.1. Low Contrast filters create a small amount of localised flare near highlight areas within the image. This reduces contrast by lightening nearby shadowy areas, leaving highlights almost unchanged. This set of filters is especially useful in bright exterior locations with hard shadows, allowing you to preserve sharpness across the image whilst lifting blacks. Glimmerglass acts similarly to classic soft filters, though is specifically engineered to appear invisible – as though no filtration is taking place. With greater optical clarity than previous pro-mist filters, Schneider's Hollywood Black magic filters offer optimum visual performance when used with modern digital cameras. These filters are excellent at reducing the appearance of blemishes and wrinkles whilst softening highlights and mid-tone contrast, creating an overall more flattering image. Where they set themselves apart is in also being able to maintain sharpness within blacks and shadows without compromising the rest of the image. These Soft FX filters are particularly useful for reducing the “digital-sharp” effect of modern sensors. This set of Schneider 138mm split diopters are useful for maintaining simultaneous focus on close and distant objects when using regular prime or zoom lenses. These optics are compatible with most rail-mounted matte boxes, in particular the Arri “MB” series. This set of Schneider 138mm diopters are great for achieving close/macro focus when using regular prime or zoom lenses. These optics are compatible with most rail-mounted matte boxes, in particular the Arri “MB” series. We also stock a dioptre tray for use with Arri LMB matte boxes. Mitomo True-ND filters are the most accurate ND filters on the market, providing great transmittance and true neutrality. When compared to other ND filters, the Mitomo set here offers next to no colour shift whilst also cutting light on the infrared spectrum. 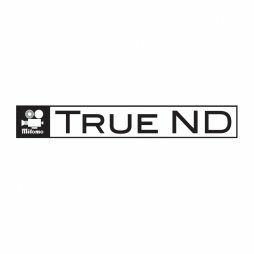 Also available in this series are True-NDS in the following strengths: 1.2, 1.5, 1.8 & 2.1. High-quality Tiffen ND filter set with built-in IR cut for use with modern digital sensors. We also stock Tiffen IR+ND filters in strengths 1.2-2.1. Pro-Mists are useful when shooting exteriors for softening highlights and reducing contrast. They are also great on fashion and portrait projects for creating a “special atmosphere” by softening excess sharpness and contrast. These filters are sometimes known as ‘White Pro-Mists’. We also carry higher strengths from Pro-Mist 3 – Pro-Mist 5. Black Pro-Mists are useful when shooting exteriors for softening highlights and reducing contrast, though are also great on fashion and portrait projects for reducing the “digital” appearance of blemishes and wrinkles. This filter set is also available in 4×4″ & 6×6″ sizes. Set of PV-sized glass 2mm streak filters in a variety of colours. 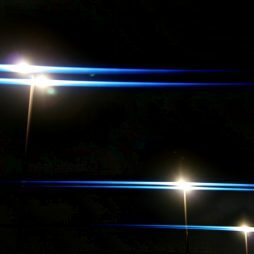 Set of hard-edge Tiffen filters useful for reducing light from a bright sky over a darker landscape. These filters have a more defined line between the clear and ND parts of the glass. This set is also available in 4×4″ & PV/5.65×4″ sizes. 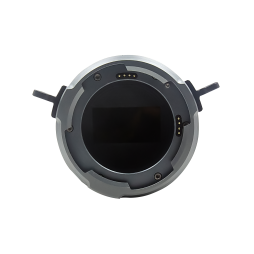 The Gecko-Cam RotaPola is an ARRI LMB-sized filter frame fitted with a 120mm circular polarising filter. 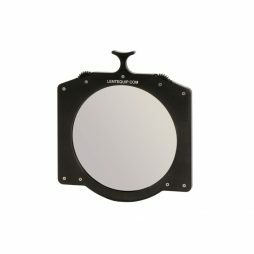 The Gecko circular polariser is specially designed for use with clip-on ARRI matte boxes lacking a rotatable filter stage, giving you greater control over the light falling on the lens. Set of soft-edge graduated Tiffen filters useful for reducing light from a bright sky over a darker landscape. Kinefinity’s alternative PL mount, boasting an e-ND filter ranging in strengths from 0.3-3. This mount is a perfect addition to any Kinefinity shooting package where weight is a key factor.